Aleen Prasad is currently employed by the University of the South Pacific as a Research Assistant under the PTC ‘Tradition and Technology Project.’ She has attained her degree in Geospatial Science and Land Management Development from The University of the South Pacific and has recently graduated with a Postgraduate Diploma in Environmental Geoscience. 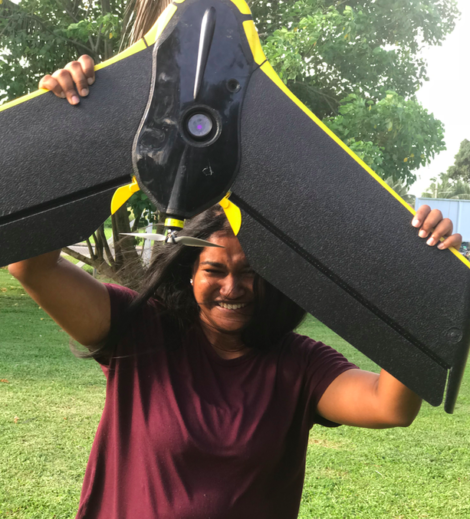 Aleen has been actively involved in Pacific Flying Labs’ activities since March 2018, and through their network has obtained a Remote Pilot License, which has contributed to her professional development. Aleen is adept in using survey equipment such as Total Station, RTK Base station, remotely operated underwater vehicle and Unmanned Aerial Vehicles in both multirotor and fixed wings systems.